Creating with Allie: How to make a handmade card step by step using the varied vases bundle from Stampin' Up! How to make a handmade card step by step using the varied vases bundle from Stampin' Up! Hello Friends!! Today I am sharing a video tutorial to show you how to make a handmade card step by step using the varied vases bundle from Stampin' Up! As usual this is a quick and easy card that you can recreate in no time, so give it a try, and recreate this card in multiple colors or changing the vases; there are several options for vases in this stamp set, also did you notice that the vase is cut out? this was done with the coordinating punch. This is a bundle and when you purchase the stamp and the punch together you save 10% on each. For this card I used the Garden Impressions designer series paper, this pack comes in a 6x6 pack with lots of great designs, one side has lots of florals and the other has more of a monochromatic design. As usual I used the colors on the designer series paper to pick the color combo on my card. The Night of Navy and the Mango Melody go really well together, don't you agree? 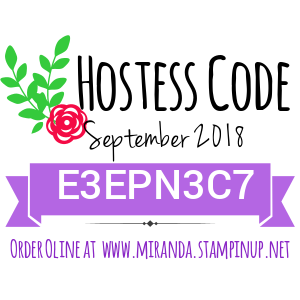 I really like that everything color coordinate when using Stampin' Up! products, you can see it so well on this card, the card stock, the designer series paper and the ink pads all color coordinate so well! It really makes it so easy to design the cards as you just pick the color inspiration and then everything else color coordinate perfectly, no more running to the store to figure out if you have the right shade of color, or the right color for the embellishments.. I remember always taking so much time figuring out if what I had on stock color coordinate or going to the store looking for the perfect embellishment to go with my project!! Watch the video tutorial so you can see in more detail the stamp set and the coordinating punch, also I go over dimensions and other tips to recreate this card. Leave me a comment if you have any questions about this card, I always enjoy reading comments.